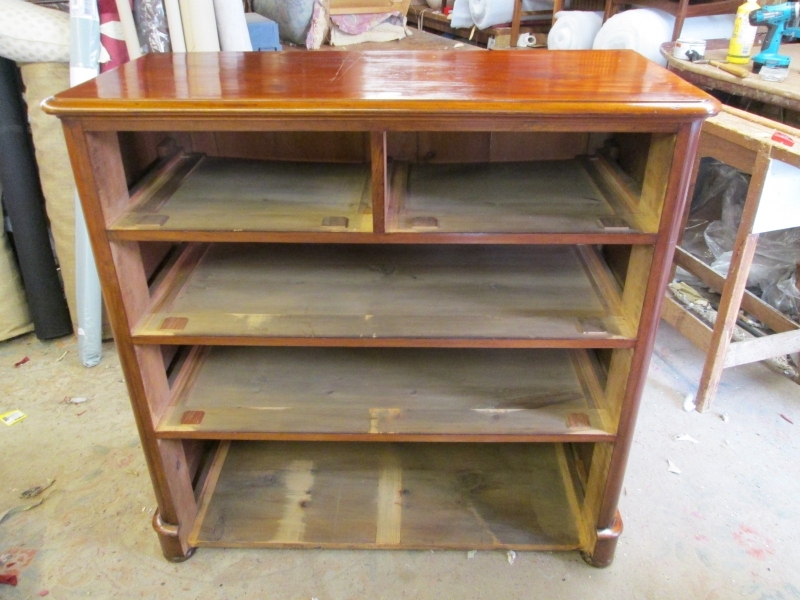 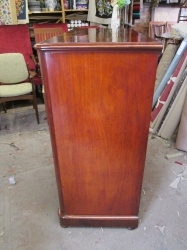 Constructed from mahogany and pine. 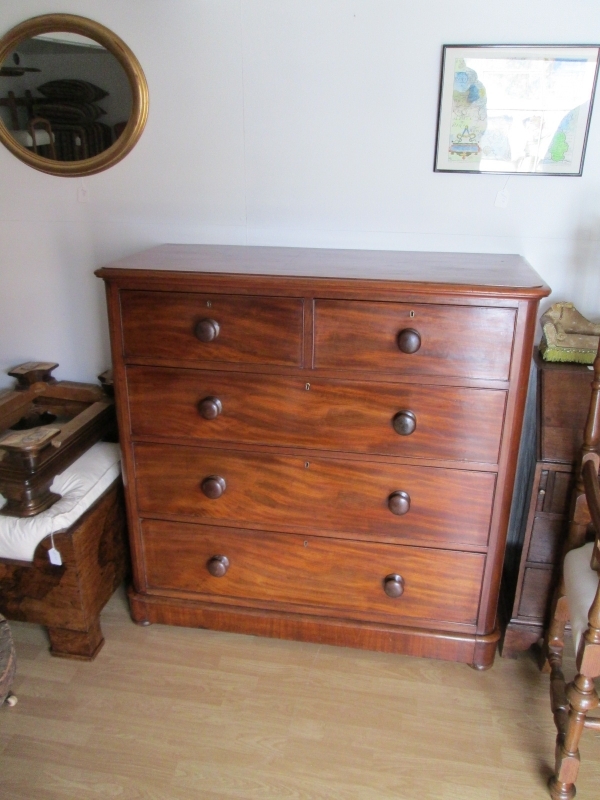 This attractive five drawer chest has a wonderful colour/patina with beautiful figured mahogany veneers. The quality chest will hold a colossal amount of storage within its two upper single drawers above three large lower drawers. 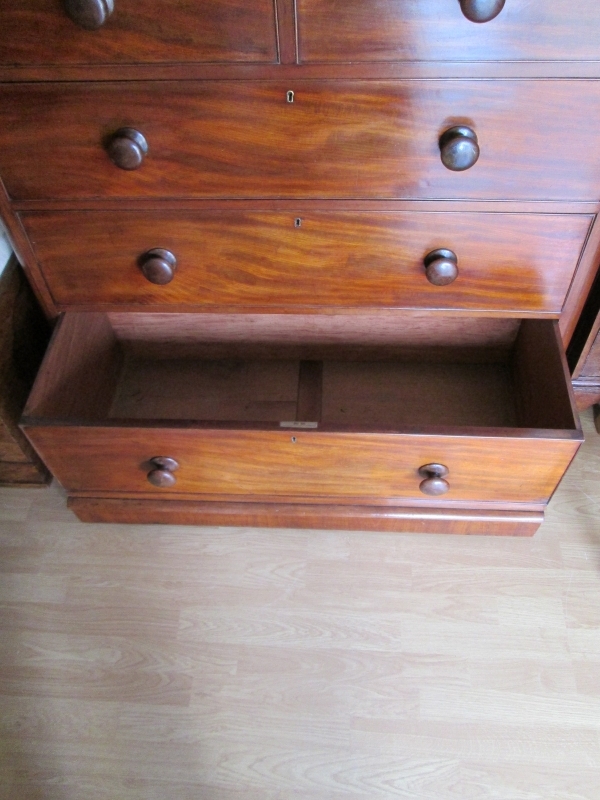 The lower drawer being integrated with the lower plinth. The original turned wooden handles, squashed bun feet and crested/patent brass locks all remain intact and in great condition. 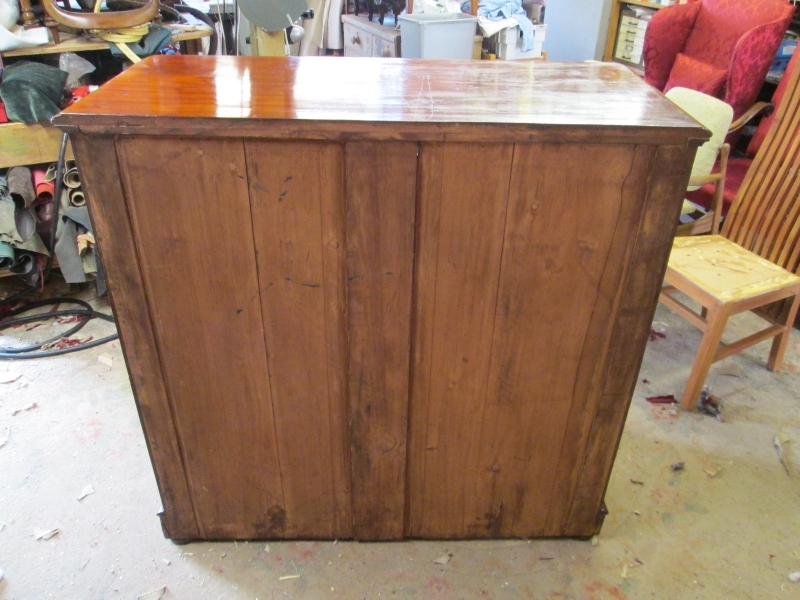 I have cleaned and waxed this superb chest of drawers and it is ready to store your belongings in true Antique style. Dimensions - height 118 cms, width 121 cms, depth 54 cms.